Ladies, will you tell us your immediate plans? Jaymie: (looking a bit shy) Well, some of it is private, for sure, with Jakob - You've met Jakob, right? Yummy looking lumberjack kind of guy, dark hair, dark eyes, beard that grows in in seconds? - but as always, I'm working on several projects including more acquisitions for the Queensville Historic Manor, and a few other jobs. Merry: (Sighing) Funny how our guys sound a lot alike, Jaymie... yummy, dark haired, dark eyed, broad shouldered... that's my Virgil. As for me, for the foreseeable future I'll be trying to figure out how to keep an enormous American Castle afloat. The electric bill alone... sheesh! Ladies, ladies! What about murder? Merry: I don't think that will help keep the castle going. Unless I become a hitwoman? Hah hah. But seriously... you've both discovered your share of dead bodies. Do you see murder in your immediate future? Merry: Funny you should say that... like a fortune teller. Janice Grover has decided to pretend to be a fortune teller with this crazy lot of ghost hunting reality show folks who just invaded my castle. I'm just trying to survive their visit - filming things that just won't go bump in the night for them - but Janice has dressed up like some silent movie era circus gypsy. Jaymie: (Laughing) No dead bodies I hope. I need a distraction right now because I have some exciting stuff coming up (stuff I can't share yet) so Becca and I have agreed to clear out an old house. We get to keep the pick of the vintage and antique stuff. It's a big house halfway between Queensville and Wolverhampton, but I think we're safe there... no dead bodies! Merry: (with a sideglance) You hope. I think you may just have jinxed yourself. Jaymie: (looking stricken) Oops. Heavens, I hope not. That's the last thing I need right now with so much else on my plate! I've got to organize my upcoming... yikes! I'd better shut my mouth. Okay, ladies; so you won't spill the beans about what's really going on? So... readers? 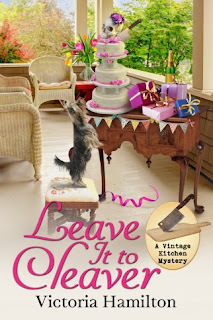 You'll just have to read all about Jaymie and Merry's continuing adventures in Leave It To Cleaver, (Vintage Kitchen Mysteries #6) coming out in mid-June, and Muffin To Fear, (Merry Muffin #5) coming out July 25th! Once there, sign up for my newsletter to stay current on publishing dates, news and advance notice of giveaways! In the meantime... a fun giveaway for commenters! 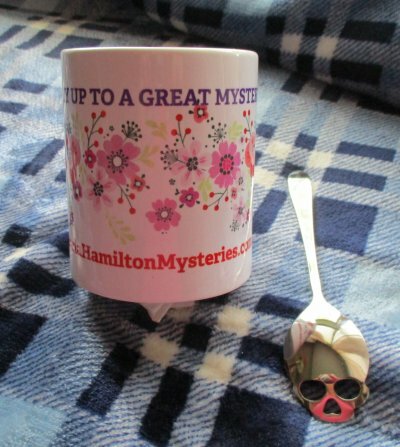 Comment here to enter to win this cozy mystery mug - it says 'Cozy up to a great mystery! - and skull teaspoon! 1 - Open to US and Canadian addresses. 2 - Comment by Midnight, May 22nd. I cannot wait to read more! I would love to enjoy my tea with that cozy mug and teaspoon. Thanks for the chance! How cute that mug and spoon is...I liked and shared this post. Thank you for the contest. I love the mug and spoon. Thanks for the chance. Signing up for your newsletter. Thanks for a chance to win this delightful, yet mysterious, cup and spoon. I've got both books on pre-order and can't wait!! i love the Vintage Kitchen Mysteries, the Muffin ones sound good too! This mug is awesome. Would like to win and read your books while enjoying my coffee. Great mug! I can't wait to read the next Merry Muffin Mystery! Oh I need to read both of these. Thank you for the opportunity. love to read these series! love the cool mug and spoon! Love Victoria's books and I collect mugs :-) What a great giveaway! Love that mug and spoon. I'd love to add it to my collection. Haven't read either series yet but they sound interesting so I'll get started on one or both asap. So, are there any more dead bodies in the house? Silly question, right? Yay! More new books for me this summer! Cute mug and very cute and unique spoon. Thank you! This is a great giveaway! Crossing my fingers. Love the interview, the ghost hunting group really catches my eye, sounds like it will be fun. I will also chime with everybody that I love that mug and spoon. Oh these books sound like my cup of tea! And the mug and spoon are just so unique and wonderful. Thanks for the post so we can catch up on what is happening with Jaymie and Merry. What a cute post and love those titles. Can't wait to find out what happens next in these series. And as always a great giveaway. Thanks! Always fun to read these interviews and the books. The cup and spoon are awesome. I'm anxious to read that new vintage kitchen mystery. But first I'd like to win that cute cup and spoon. What a fabulous mug-teaspoon set! I'm looking forward to reading both Leave it to Cleaver and Muffin to Fear. I love a good cozy and a cup of coffee or tea! I was so excited to hear about two new books coming out I sooooooooooooo enjoy reading them all, three series. I a big tea drinker and really love your spoon & mug. Can't wait to read more! Love the mug and spoon! Thank You!! A fantastic giveaway. Thanks for the chance. Both are already on my shelf at Goodreads!!!! Perfect afternoon. Is a cup of tea, good book,and my cats and dog curled up with me!!! Need to make some scones!!!!! I can't wait to read both books. Looks like a summer of great reading. Great cover and titled for both books. Great mug and spoon, thanks for the chance. Virgil & Jakob sound like great guys. 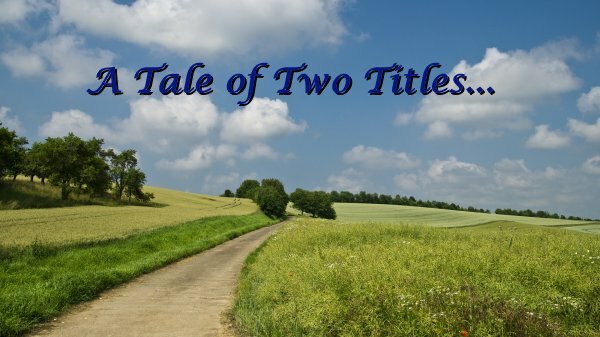 I loved reading about these books and the great giveaway. Awesome mug and spoon!! Perfect for my tea. I love the Vintage Kitchen sereis, and I am very excited for the release of Leave It to Cleaver. I haven't read any of the Merry Muffin books yet, but I hope to soon. Thank you so much for the chance to win the beautiful mug, and that AWESOME spoon. Both those books sound great! I'll have to check them out. I'm sooooo excited that the Vintage Kitchen Mystery series is continuing. I can't wait to read Leave it to Cleaver. 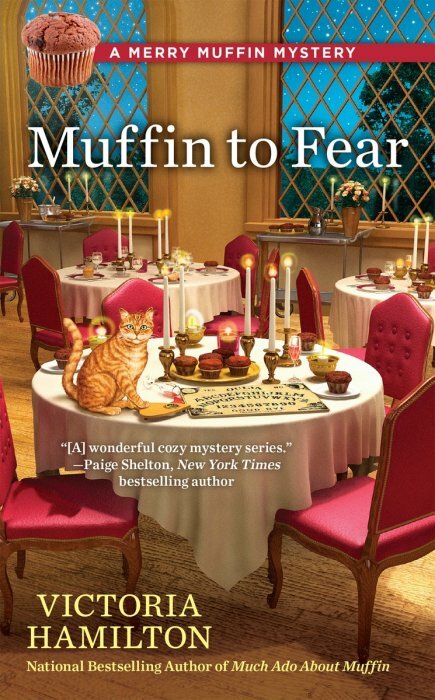 I haven't had the pleasure of reading the Merry Muffin series, but I'm sure I would love it. Thank you so much for the giveaway. I loving drinking tea as I read. Love the interview... Cozy Mysteries rule! !